Master blaster of the Telecaster Bill Kirchen literally blew the roof off the joint at Abilene. Okay, it was a tent out back, but we did have liftoff. To show what a beautiful talent this man is: while the gusts of inclemency threatened to jettison the tent again, Kirchen held things down with his left hand while picking an old George Jones number with his right. It was just the man himself, spanking the plank alone, which really made for some interesting rhythm picking to fill in the gaps and trills that went up the neck (and down my spine) like Lonnie Johnson used to do. And though this wasn't a Jazz Festival show, it was part of the energy in the air that ignited the periphery -- and that's here year round, donchya know. English guitarist Jack Broadbent played Montage on Sunday as part of the 2017 XRIJF. You know, the other day, I read somewhere that the sales of the electric guitar have dropped significantly. I got together a few musician pals to speculate why: ch-ch-changes in musical tastes, rock radio with shallow rotation of the same 30 songs (with 20 of them by Led Zeppelin), idiots trying and failing to play like Bill Kirchen, and so on. But I know, and a couple hundred folks that greased their way into Montage Music Hall last night also know, there is one man that is killing the electric guitar, and that man is English slide guitarist Jack Broadbent. One listen to him and you get a case of the "holy shits" and promptly give up the guitar. It's like skinny dipping with John Holmes. Jack Broadbent ... goddamn ... I just knew I was gonna love this guy live after I'd first caught him on YouTube. 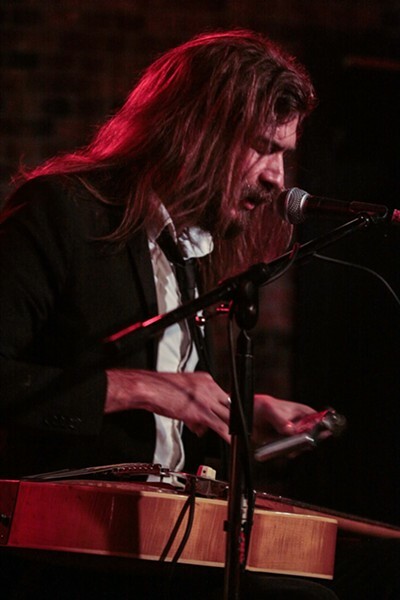 He played the slide guitar on his lap with a flask (I initially thought it was a stapler) in his left hand for a slide. This added a beefier, meaner tone, not to mention his attack, which when he tore into it roared like King Kong with a hangnail. Broadbent played with his father on bass and his sweet mother making sure the beer was cold. The music was rooted in blues but left some room for jazz and a few covers from Little Feat, Steely Dan, and Ray Charles. This cat's show was explosive. Johnny Mercer's "I Remember You"took on a whole new meaning for me after it accompanied a scene in one of my favorite flicks, Rob Zombie's "The Devil's Rejects." Well now, John Paul White (formerly half of The Civil Wars) opened his set at Anthology with a beautiful rendition of this song to a crowd I can't see necessarily digging blood and guts on highway done Rob Zombie-style. It was a mellow show, which got drowned out by the philistines in the back. White seemed unphased, and he told the members of the audience that were actually paying attention that he wasn't there to cheer us up. But if you like stark, rocking, lyrically insightful music -- like a less overwrought Wilco -- played over the din of the khaki crowd ... well then, he did cheer us up. 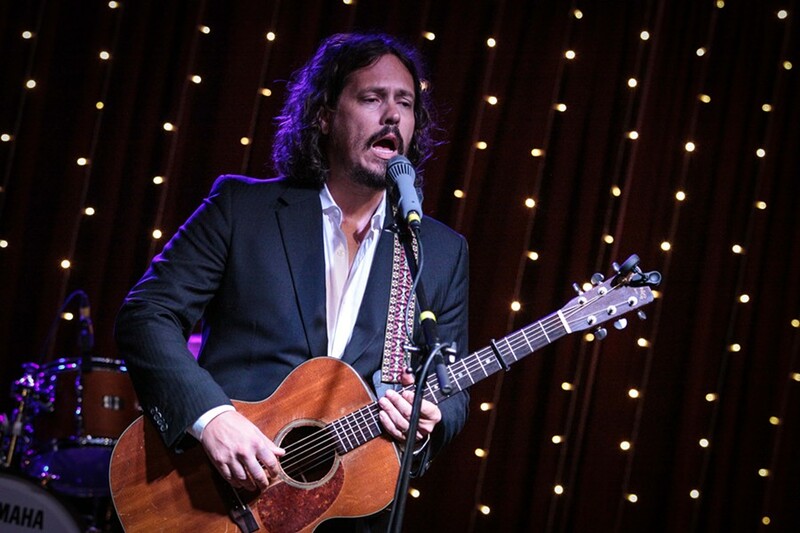 John Paul White played Anthology Sunday.